Mummy makes the world's best Aalu Kasha and I tried to replicate the same taste following her recipe. Aalu Kasha, commonly prepared in almost all the Odia and Bengali kitchens is a simple and yet delicious dish, that is prepared with potatoes and the indian species. 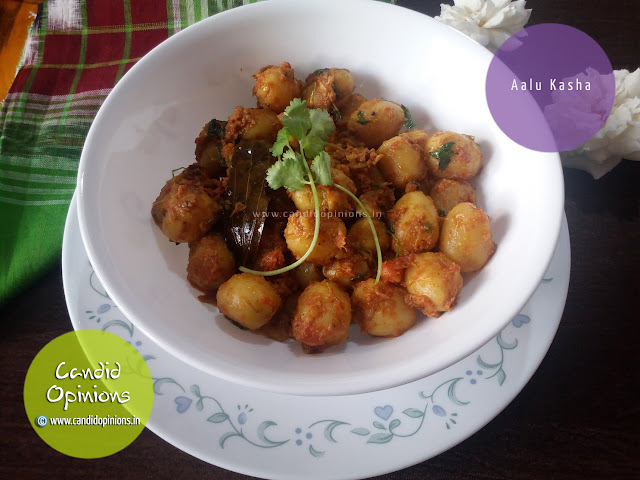 The recipe follows the standard procedure that is employed for the gravy of most Indian curries, however the only difference being that the gravy remains semi dry in case of Aalu Kasha. 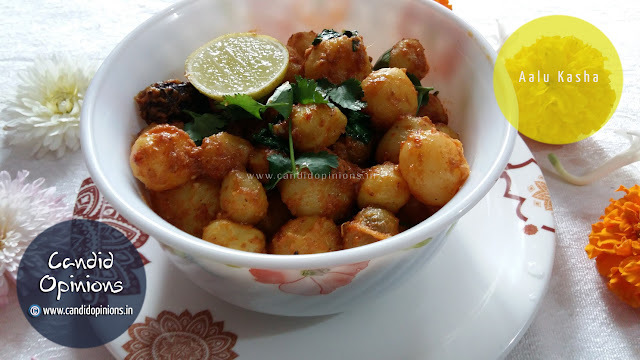 It can be paired with and tastes great with both steamed rice as well as with roties, paranthas or puris/luchis.